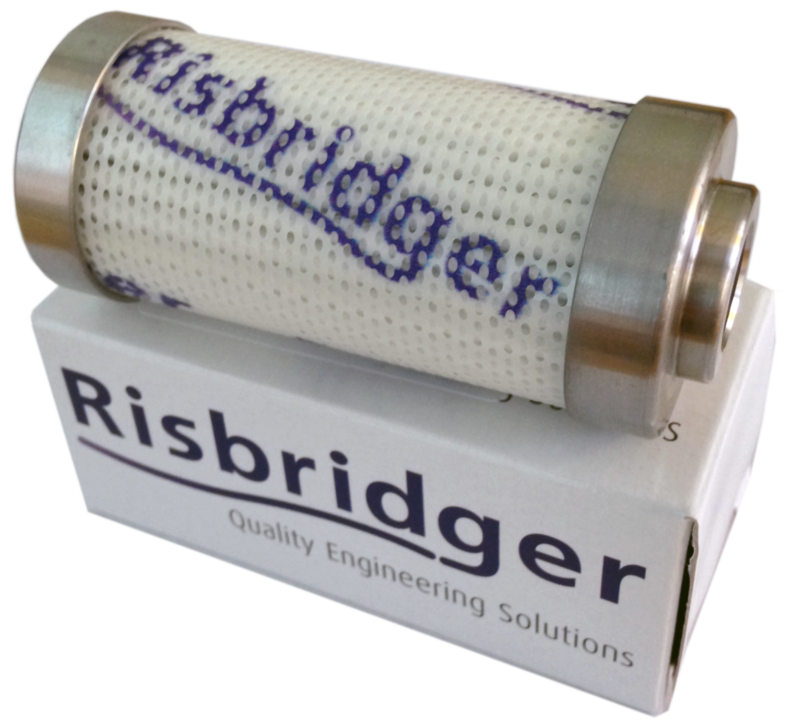 All Risbridger re-oiling pumps are supplied from new with a 1600 series filter element, with a rating of Beta 200 = 4.6 micron, in accordance with ISO16889, dispensing fluids to a cleanliness level of 17/15/12, in accordance with ISO4406. To ensure both the efficient operation of the pump and that only super clean product enters the critical aircraft components, we recommend the filter elements are changed every six to nine months after initial use, or if more than normal resistance is felt during the pumping procedure. 1600FILTER for use with Engine and Mineral Hydraulic oils. 1600/S for use with Phosphate Esters only. Both are available from stock singly or in a box of ten. Risbridger pumps have a ‘No Filter – No Flow’ feature to prevent the pumps being used without filters fitted. Component wear and failure due to contaminated lubricants is already well documented. Dirt particles are the major cause of component wear. These particles damage and degrade precision surfaces, alter clearances, and in the process generate more abrasive debris inside the machinery. Fluid degradation is also a result of particulate and water contamination, and reduces the effectiveness of vital lubrication. Fluids last longer and function most efficiently, when these minute particulates are controlled by the regular replacement of filter elements. Filtration is the key to preventing costly repairs caused by contaminated lubricants. The problems associated with component wear and failure due to contaminated lubricants are already well documented. In order for filtration to be truly effective it must be able to trap contaminants of all sizes. With a clean Risbridger 1600 filter your equipment has outstanding protection against contamination.